From business trips and vacations to crazy schedules and kids home from school, a lot of things can get in the way of your workout. Streaming classes can be accessed anytime and anywhere you have enough room for a mat and a WiFi connection. 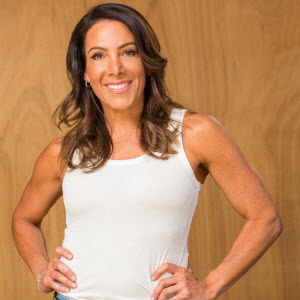 Workout with celebrity trainer Dana Perri as she takes you through a full body circuit workout designed to get you the best results in the least amount of time. Your subscription gives your 21 different videos with nearly two hours of workouts with Dana Perri. Starting with a slower and more controlled warm-up, these exercises will help prepare you for any workout. A thorough warm-up prevents injuries and improves your flexibility by getting your blood flowing and your muscles pumped. Dana begins with a series of deep breaths and light stretching. With plies, lunges and static exercises, your body will be ready to sweat. It’s time to give your lower half some attention and boost your metabolism while you’re at it. Challenge yourself and break through your limits as you follow Dana through an upper body circuit workout. Recognizing the best moments when they occur will keep you focused on the here and now. Finding your purpose will create a life you’ll feel passionate about. Dana takes you through a thorough full body warm-up to stretch, lengthen. . . Learn about the SHIFT lifestyle and the choices we have each day. Recognize your personal power and put it into practice. Being committed to your happiness will bring passion and freedom. This lower body workout isolates the muscles in the legs with . . .
Finding moderation with your nutrition is a key to success. Combing cardio and strength training in full body workouts is the best. . .